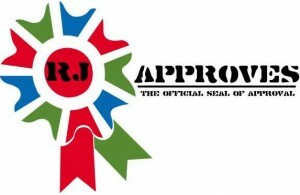 dr | RJ Approves This Message! On Jan 26, VMware silently announced the release of vCloud Availability 1.0.1 which allows you to build disaster recovery solutions in vCloud Director. The idea here is replication of VMs to a multi-tenant cloud. The best thing about this replication technology is that you don’t need a special replication network and replication traffic can safely travel over the internet. Another thing to note is that replication in either way is always initiated from the on-prem site only. After VMware cloud showed up, there was a dire need for having cloud as replication traffic target and VMware is aiming to solve it by vCloud Availability 1.0.1. The service is said to scale to hundreds of customers which means any hosting provider can now be a DR target to a plethora of customers. The official VMware blog about it is – here. I ran into this paper which explains how to have DR setup for your vCloud director foot print using SRM. This is for vCloud Director 5.1 but most of the concepts are still the same and apply for vCloud Director 5.5. Let me know what you think 🙂 and here’s the link!